Windows Phone 7 is still months from release but Microsoft made a pretty smart move making the Developer Tools available up early. 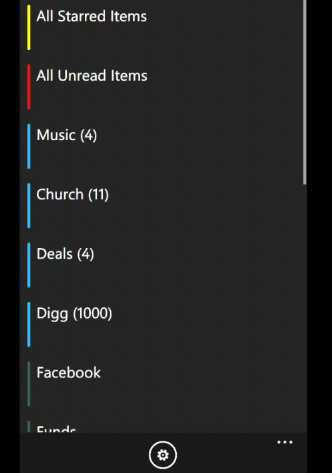 Thanks to that, we are now seeing Apps rolling in already, like G:RSS – a Google Reader client for Windows Phone 7. According to the developer, the App is fully functional – though it still doesn’t represent the final version. Users can still weigh in on with their suggestions since there is still time to polish the App until the official launch of Windows Phone 7 later this year. As for my own two cents,Â I do like how the G:RSS renders the full HTML feeds along with the simple navigation buttons at the bottom. The only thing I would like to change about it would be a slightly more detailed and richer UI because the current version seems pretty dry – very usable but dry. I’d be keeping a close eye on this one and keep you guys updated. Ran 15 queries in 0.144 seconds.